After 20 great years, Acqua Ristorante will say farewell and host its final dinner service on June 30, 2016. Known for its authentic Mediterranean fare, refined ambience, and friendly service, Acqua Ristorante has been a staple on Main Street for the past two decades and helped pave the way for downtown Westport’s culinary scene. While it has been an exciting 20 years for the iconic restaurant, it is now time for its final wave. It will leave behind a legacy of being one of the most beloved dining institutions in Westport. 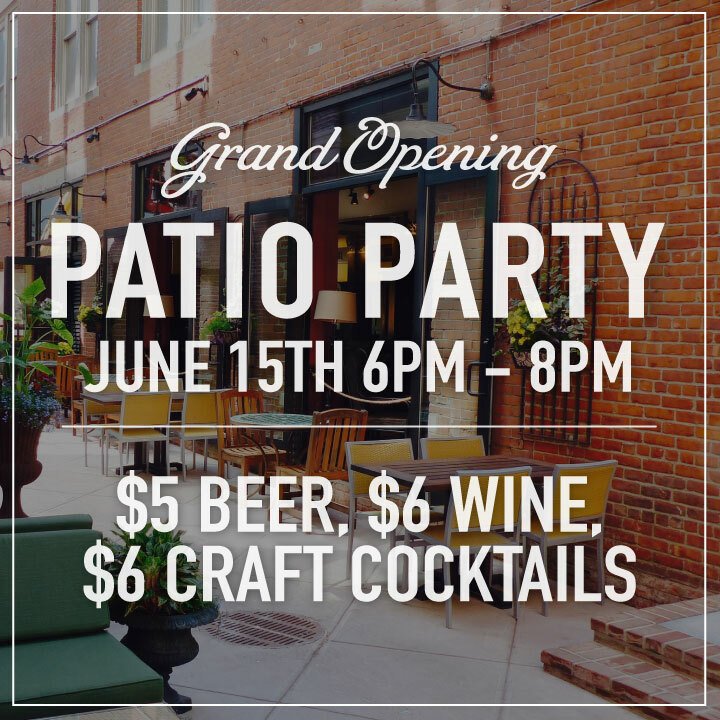 Cask Republic is hosting a Patio Grand Opening Party on Wednesday, June 15 from 6pm – 8pm. to celebrate the opening of their beautiful patio. Guests can enjoy select beer for $5, wine for $6 and craft cocktails for $6. Eastend is hosting Happy Hour seven days a week from 4pm – 6pm. What’s more, guests enjoy half off of beer and wines by the glass. They are also offering bottomless mimosas and Bloody Marys during their Sunday Brunch. Party on the rooftop of the urban-chic Zero Degrees Hotel! Mediterraneo Norwalk launches their seasonal “Skytop Happy Hour” Thursday – Saturday offering $3 wine, $5 beer and a newly-created Happy Hour pub menu. Happy Hour continues Tuesday – Friday from 4pm – 6pm offering half-price beer, wines by the glass and craft cocktails.